Obituary for Margaret "Peggy" Shipley Keiki | Fletcher Funeral & Cremation Services, P.A. 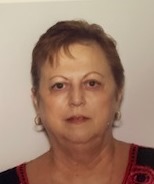 Margaret Shipley “Peggy” Keiki, 73, of Owings Mills, returned to her Heavenly Father on Sunday, February 3, 2019. Born July 11, 1945 in Baltimore, she was the daughter of the late Wilbur G. Fourhman Sr. and Doris (Grothe) Fourhman. She is survived by her beloved husband of 28 years, Craig Keiki. Peggy had numerous jobs including Director of Carroll County Voluntary Action Center, Director of Carroll County Life Enrichment, Pets on Wheels and Youth in Service Programs; Credit and Collections, Supervisor at Random House, Customer Service with Bowe Bell and Howell (The Harris Group) and Dunbar Armored and Copart. She developed the Youth in Service Program which she took to 7th graders to educate the students to some physical changes the elderly experience and to open to them the opportunity to volunteer at local nursing homes. She was fortunate to have the opportunity to share the program at National Conventions in New Orleans and Toronto, Canada. She was a 1963 graduate of Westminster High School and member of The Church of Jesus Christ of Latter Day Saints. She loved to read books, cook and go shopping. Besides her husband, she is survived by sons Edward Paul “Eddie” Henderson, III of Hanover, PA and James Eric “Jimmy” Henderson and wife Beth of Westminster; a granddaughter Alexis Joy “Lexi” Henderson, brother Wilbur Fourhman, Jr. and wife Linda of Westminster; beloved dog Kiki and numerous nieces, nephews, cousins and uncles. She was predeceased by a sister Mary Ruth Zepp. The family will receive friends on Saturday, February 16, 2019 from 9:30 a.m. to 12:30 p.m. at Fletcher Funeral & Cremation Services, 254 E. Main St., Westminster. Funeral services will begin at 12:30 p.m. with Bishop Burciaga officiating. Interment will be private. Flowers are welcome.